Records request points to ethical concerns in the AG's office. When Utah Attorney General’s Office spokesman Paul Murphy was asked if it were appropriate for Mark Shurtleff to have his taxpayer-funded state secretary arrange a campaign lunch, Murphy said there was no problem. “Mark’s schedule is a mixture of public and private, so his secretary has to schedule everything for him to make it work,” Murphy said, adding that “everything” included family time, church time and even doctor’s visits—all for the sake of efficiency. While state law prohibits state employees working on campaign functions, the language is not black and white as to what activities are prohibited. Figuring out the nuances of state campaign law is the job of the Utah Attorney General’s Office. Even though Shurtleff’s office sees nothing wrong with the practice of having a state secretary schedule all appointments, other officials disagree. In surveying local government officials at various city, state and legislative levels, City Weekly found no other agency that approved of a government secretary scheduling both office and campaign activities. Using a state secretary to schedule campaign lunches in and of itself might not trigger alarm bells, but records show Shurtleff’s staff did express concern over campaign donations he had accepted. In a series of documents and internal e-mails City Weekly obtained through a records requests, one assistant attorney general mentions having “begged” Shurtleff to better screen his campaign donors after Shurtleff accepted $50,000 in campaign donations from a company his office had brought fraud charges against. In January 2008, Shurtleff sent an e-mail asking his state secretary, Helen Petersen, to set up a meeting with him and representatives of call-center company Mentoring of America as well as the company’s salesman and lobbyist Tim Lawson, who is also a personal friend of Shurtleff’s. In the e-mail, Shurtleff tells his secretary that the company’s CEO, Doug Gravink, and chief operating officer Gary Hewitt “will fly up here for the meeting (and bring me another $15k),” writing also, “Please call Tim [Lawson] and let him know date and time after you set it up. Thanks!” Neither Tim Lawson nor representatives from Mentoring of America returned a comment for this story. According to the State Elections Office, only the attorney general can legally spell out whether a specific activity could be considered campaign work or the people’s work. But in practice, numerous state staffers say using the same secretary to schedule both campaign and office activities is not how they would operate. Mentoring of America, the company whose executives were invited to be Shurtleff’s lunch guests, has been under investigation by the Utah Division of Consumer Protection four times between 2004 and 2009. 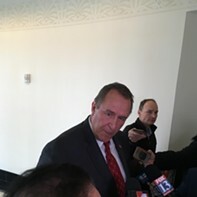 City Weekly reported on the company’s close association with Shurtleff in the April 2009 article “Called into Question.” In responding to questions from City Weekly for that story, spokesman Murphy wrote that in late 2007 that the Attorney General’s Office was not involved in any pending legal action against MOA. However, there were outstanding administrative citations that eventually made the company liable for a $113,500 fine. Meanwhile, secretary Petersen coordinated lunch reservations for Jan. 16, 2008, for multiple attendees involved with MOA at the now-closed Ruth’s Chris Steak House in downtown Salt Lake City. The meeting, Murphy says, was strictly a campaign lunch. Two months later, the state’s charges were dropped, and MOA ended up paying no fines after the company joined other Utah call centers at Shurtleff’s and others’ request to form an industry association to help them resolve consumer complaints. While the state dropped its charges, 14 months later, in July 2009, the Federal Trade Commission charged MOA for allegedly defrauding thousands of consumers nationwide out of more than $300 million. E-mails also show Shurtleff’s own staff questioning Shurtleff’s acceptance of campaign donations from companies his office has brought charges against, or who faced legal citations from the Division of Consumer Protection. That was not the first time a concern had been expressed by a member of his staff about campaign donations. In June 2008, City Weekly covered Shurtleff’s acceptance of $50,000 in campaign donations from Jeremy Johnson, CEO of IWorks, a company charged with numerous fraud counts in late 2007. Several months after the Division of Consumer Protection dismissed charges against iWorks, Shurtleff received two $25,000 donations from the company [ed. note: this sentence has been corrected to clarify which agency prompted the dismissal]. Vetting campaign donors is one thing; vetting those who work on one’s campaign staff is another. In one e-mail, Lawson’s name appears on Shurtleff’s 2009 inauguration guest list, identified as a member of Shurtleff’s campaign staff (Murphy says he worked as a volunteer). This was within months of Lawson working as a lobbyist for MOA. In a January 2009 interview, Lawson described himself as a man sought after by companies because of his connections in state government. “I don’t know that people generally like me, but I know they like the people I know,” he said. 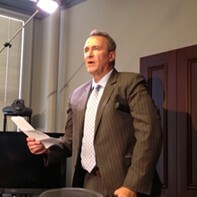 As a member of Shurtleff’s campaign staff, Lawson had Shurtleff’s ear. They were close enough friends that Lawson and a guest were invited to join the attorney general on his trip to Israel in July 2008, before it was postponed due to Shurtleff’s health complications related to his 2007 motorcycle accident. While Lawson told City Weekly that he was hired by MOA to do government lobbying, e-mails also indicate that Lawson may have acted as a go-between for other call-center companies, such as IWorks, in their dealings with the Attorney General’s Office. When learning about conflicts of interest, engaging former lobbyists as campaign staff and using taxpayer-funded secretaries to schedule campaign lunches, Quin Monson of Brigham Young University’s Center for the Study of Elections and Democracy is not all that shocked. Monson says with such loose regulations, it’s unlikely any laws were broken, but does concede that the behavior does push up against the perception of impropriety—which is troublesome on its own.